Q: Does the guard TCHA5A have the same pockets as the one without sun protecton? 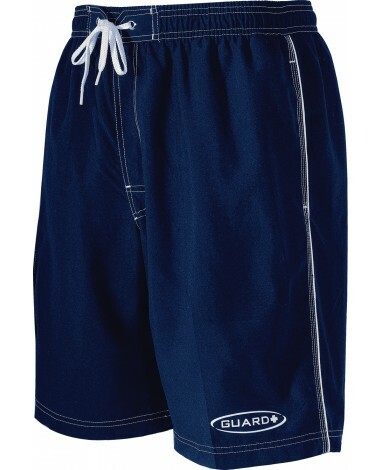 A: The Men's Guard Challenger trunk has the same pockets as the Regular Challenger short. Q: These trunks say to hand wash in cold water without detergent or bleach, so what do I use to clean them? A: Thank you for your inquiry. We recommend washing the Guard Challenger Trunks with mild soap. Q: Do you have this swimsuit available in blue in a size small?? A: Yes, we have the item in Navy. The Item name is: TCGU5A-S-Navy. 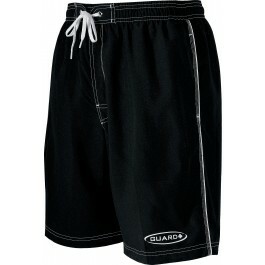 The item is available here: http://www.tyr.com/shop/mens-guard-challenger-trunks.html. The Men's Guard Challenger Trunk showcases 100% Polyester construction for durability and accelerated dry time. Built for lifeguards, an elastic waistband with drawstring closure provides a customized fit and a side Velcro pocket provides small storage.